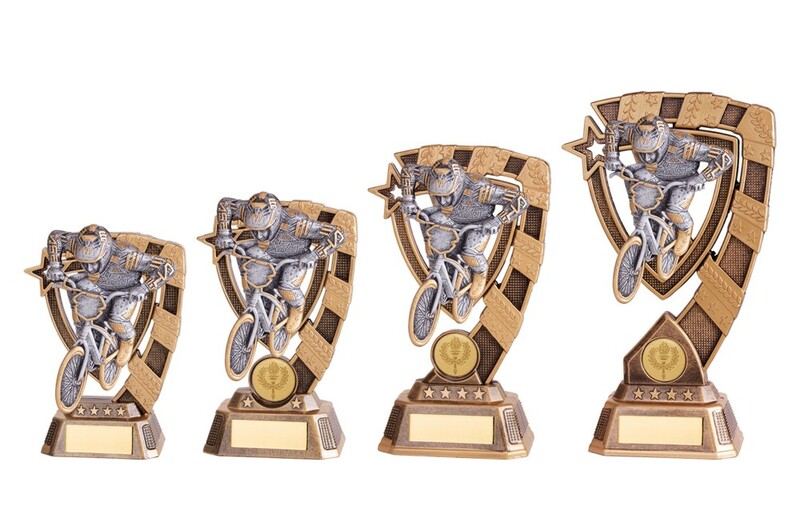 Resin Euphoria BMX Bike Trophies. Available in 4 sizes, 130mm, 150mm, 180mm and 210mm high. Antique bronze in colour with gold and silver detail. Perfectly crafted and well designed award. 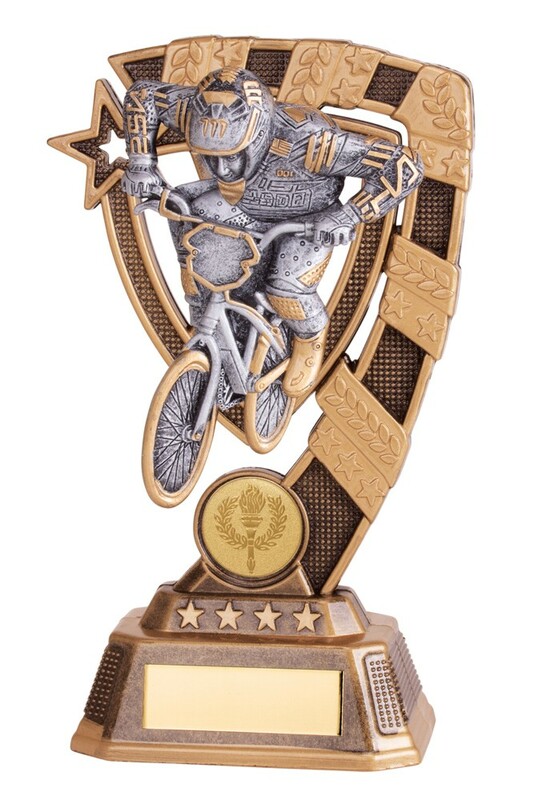 The trophy depicts a bmx bike and rider.